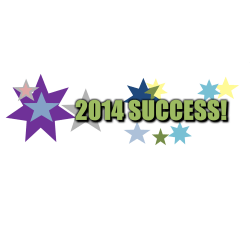 Set-up Your Insurance Agency for a Successful 2014 by Implementing a Marketing Plan Now! Planning your insurance agency marketing now will help align you for a successful 2014. Agents far too often think that in order to have a great year, they need to implement their marketing plans early in the New Year. Instead, consider starting your marketing in the Fall to ensure your marketing plan is up and running smoothly PRIOR to the new year beginning. It never fails… September through December in our office is quiet with new business leads because insurance agents are letting the year coast out with their existing marketing in place. What many don’t consider is that waiting until the New Year to launch their marketing plan will only delay the opportunity to grow their business in the New Year. Marketing an insurance agency online takes time and patience and a successful insurance agency marketing campaign takes months to gear up. From registering with directories, to claiming your social media profiles and gaining a following, the sooner you begin revamping your insurance agency marketing, the better. If your marketing plan includes updating your website with a new look and feel as well as a strategic content marketing strategy (blogs), the sooner you start, the more likely the search engines will begin visiting your site sooner as well as index your new website pages. It typically happens in a week, but if you have a stale, older website that hasn’t been updated in years, the search engines won’t likely visit your site very regularly. Once a content marketing program has been implemented it will benefit you to have started earlier so your pages are indexed and you can begin attracting customers through the search engine immediately. Growing your social media following on Twitter, Facebook and LinkedIn takes time and if you don’t work at it now, you’re bound to have a slow start to your year. Growing your social media following and networking now will allow you more access to new leads and a greater marketing pool in the New Year. Don’t forget the easy ways to gain followings. Your agents are your best resource. Ensure they’re reminding customers to like the agency on Facebook to receive important updates and notices. Many social media management companies can “keep the lights on” with regular social media posts, but only you and your agents in the office can truly grow your social media following. If it is slower in your office now and you have the time, consider getting your content marketing strategy started now so you can free up time when you get busy in the New Year. Having your blog articles written out in advance will allow you to post them quickly when you’re busier later in the year so you don’t have the added stress about writing the articles. Quickly post your articles, share on social media and get back to writing the business that will surely follow from your great post. Finding fresh content to share on social media can take a huge amount of time and often leads to a large distraction. Consider taking one working day to compile 52 weeks of social media posts or ideas. Look for simple wins like “National Donut Day” or other fun, yet little known, national celebrations. We recommend a mix of fun with the business to keep your followers engaged. Let’s be honest, insurance is NOT that interesting to most people! Keep it light to keep your audience happy and visiting your page. Managing an insurance agency marketing campaign can be a fun project and updating your online marketing will only benefit you in the long run. Become a resource for prospective clients and you’re sure to win them over. If the thought of managing an extensive online marketing campaign is overwhelming, consider hiring a company who specializes in insurance agents. We just so happen to be one who would love the opportunity to help you with your insurance agency marketing. Tosten marketing offers programs designed to be affordable, comprehensive and are proven to work. We specialize marketing the independent insurance agency channel. Be sure to visit our testimonials page to see what our clients have to say! https://tostenmarketing.com/wp-content/uploads/2017/03/Tosten-Marketing-Logo-Final.png 0 0 Tosten https://tostenmarketing.com/wp-content/uploads/2017/03/Tosten-Marketing-Logo-Final.png Tosten2013-09-30 15:02:292013-10-01 14:33:47Set-up Your Insurance Agency for a Successful 2014 by Implementing a Marketing Plan Now!